piorno, calabón serrano, L. Cytisus balansae or Sarothamnus balansae (previously Cytisus purgans), Eng. broom, Provence broom, Pyrenean broom, Spanish gold broom. 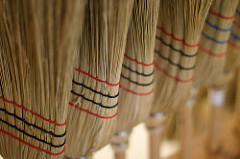 "Piorno" is applied also to several types of brooms including the Scotch broom (retama negra). Mashed broom greens were added to garum. The stalks were used to make brooms. That its why they are called "brooms" in English. The buds, considered a delicacy, were gathered at the end of April or May and salted or pickled. Later they were boiled or washed and added to salads like capers. The English used them in pastry stuffing’s for main dishes. Geneste was a summer dish colored yellow like broom flowers by the use of egg yolks and saffron see ginestada. The flowers were made into a drink with water for their purgative affects. 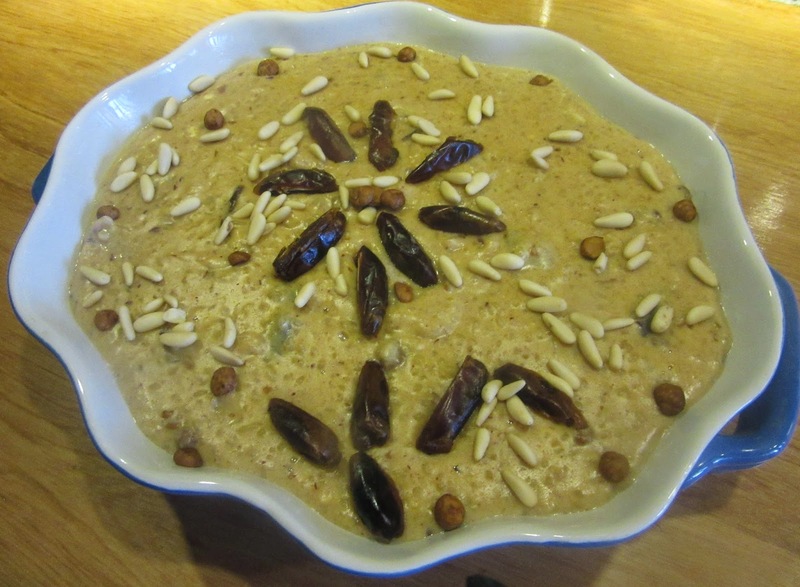 As a diuretic, the seeds were added to drinks for two weeks, removed and then imbibed for fever and liver problems. Sheep eating the green tops of broom do not contract rot. Also these were thought good for kidney problems, fever, gout, sciatica, black jaundice, dropsy and hip and joint pains. Today it is known to be a purgatory and cardio tonic for its sparteine content and a diuretic for its glucoside content. It is used for patients requiring these three treatments and for dropsy (today called oedema) caused by heart disease, gout, rheumatism, liver, kidney and bladder affections. Layman are advised not to try broom for the large number of species. 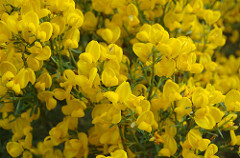 Spanish broom (Spartium juncerum), for example is poisonous, see iniesta. Also see retama negra.